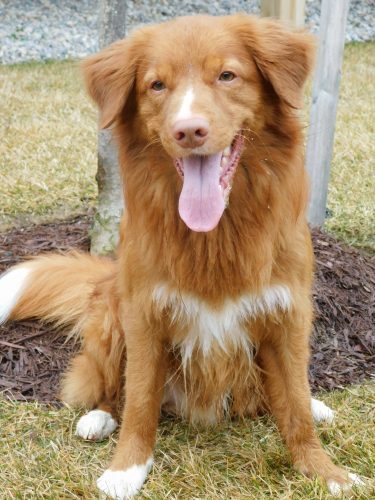 Forbes is a gorgeous, willing to please and athletic boy from Beekauz Kennels in Illinois. He came to me at nine weeks of age, and has exceeded all of my expectations! He has an exceptional pedigree of working and show dogs. 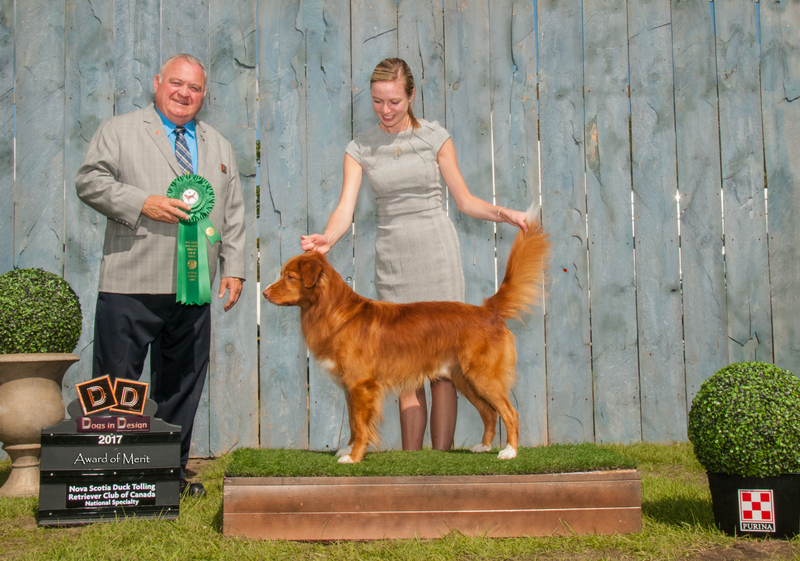 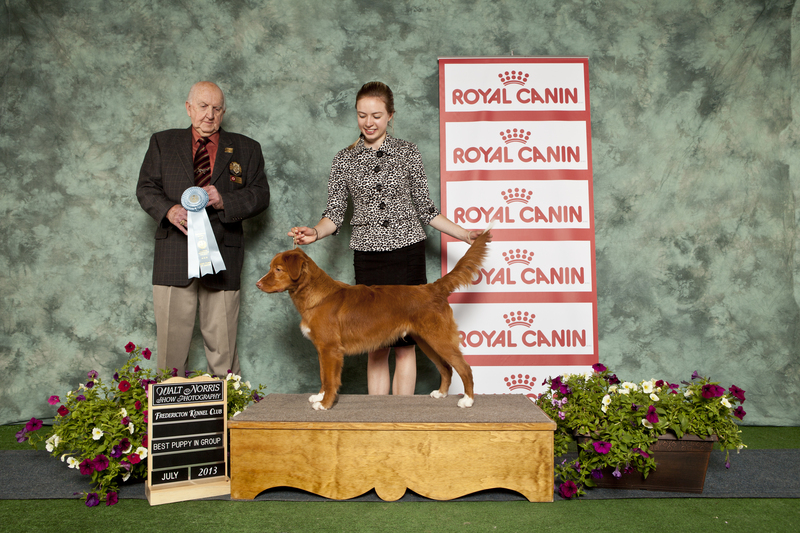 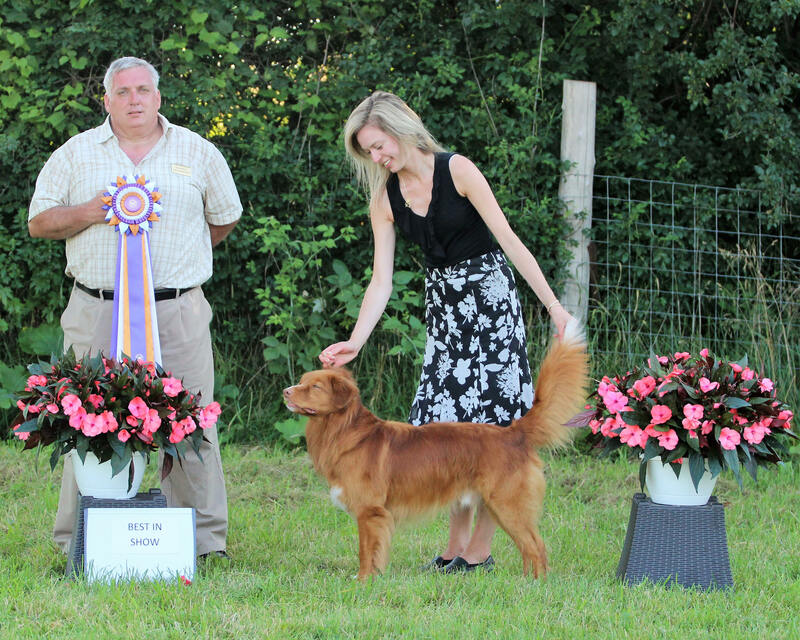 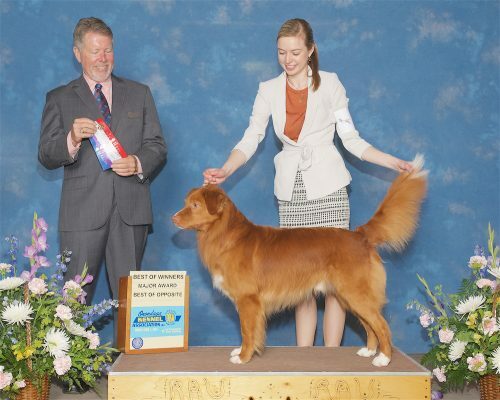 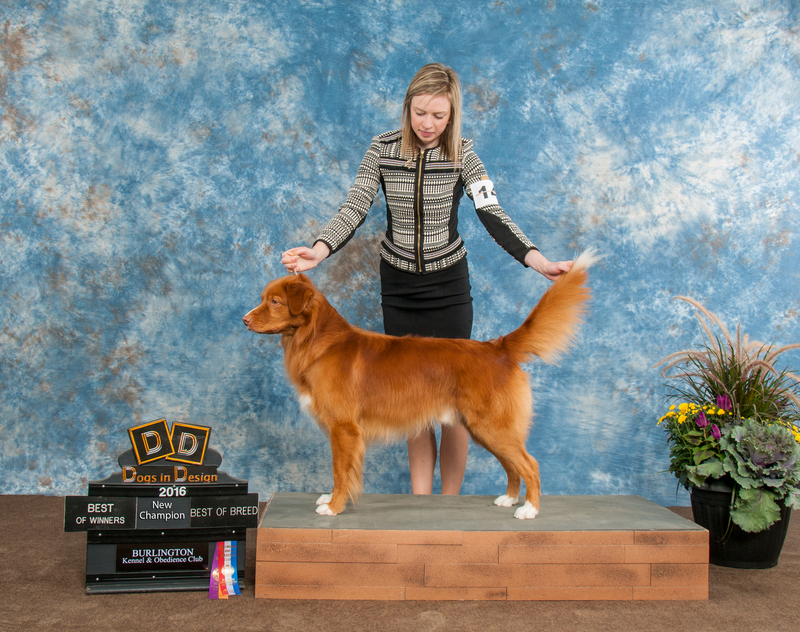 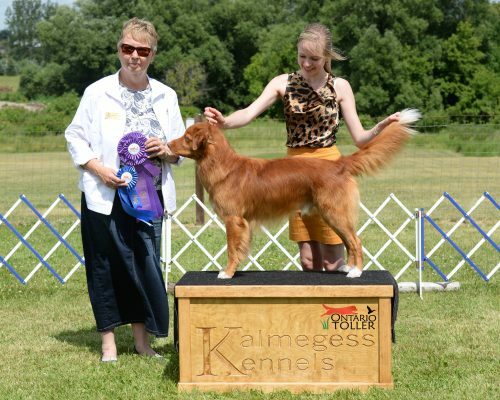 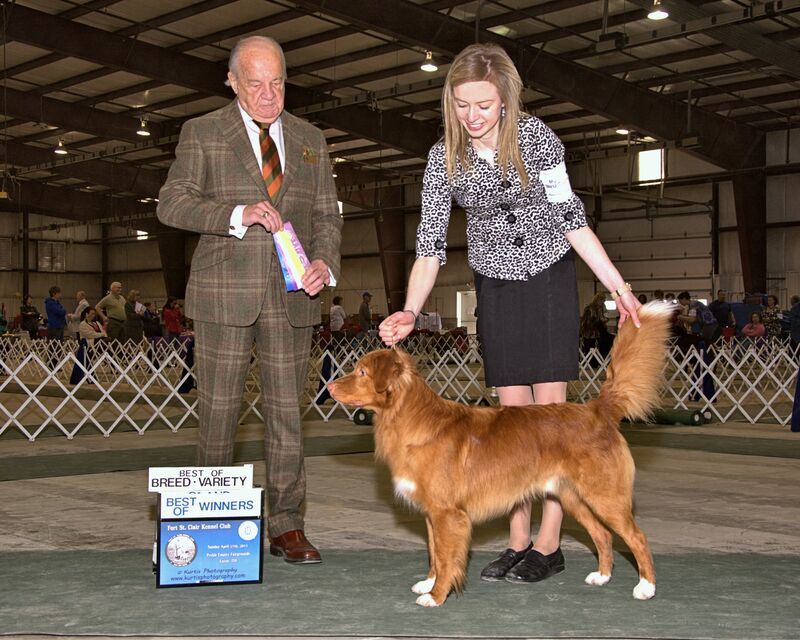 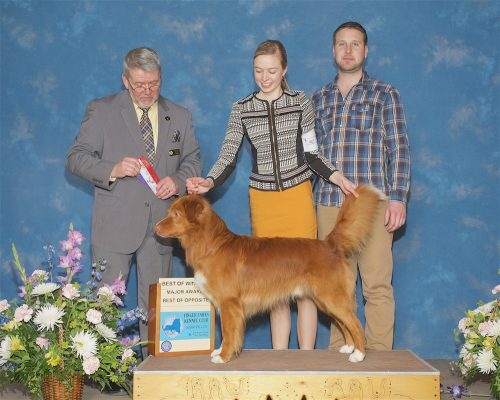 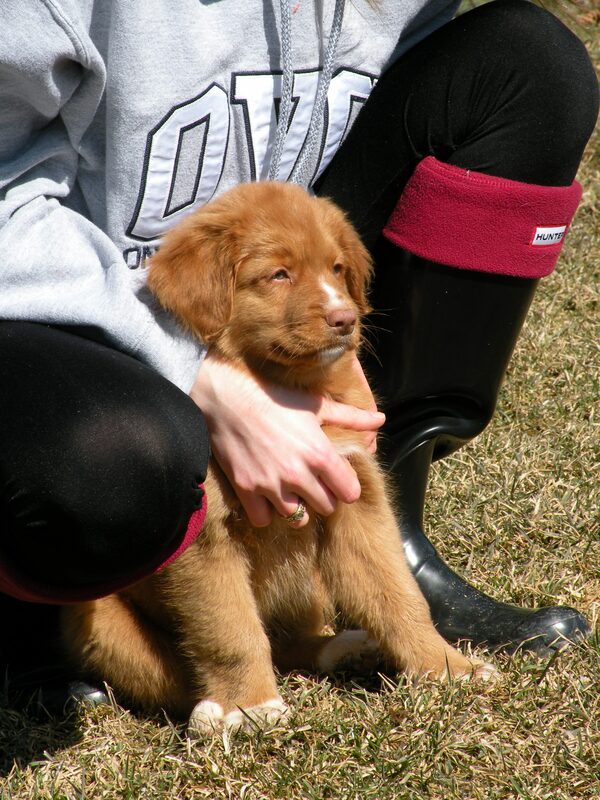 Forbes is the son of “Max”, Canada’s #1 Toller in 2009, 2010 and 2012, and full-brother to the beautiful “Diana”, Westminster and Eukanuba Best of Breed Winner. Forbes has lived in numerous places as I completed vet school and my internship. 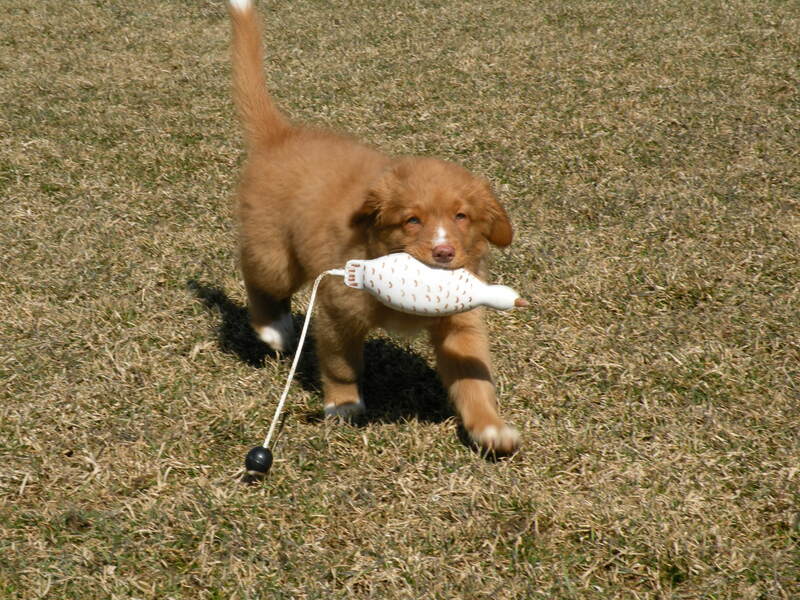 He is adaptable and is always up for new adventures! 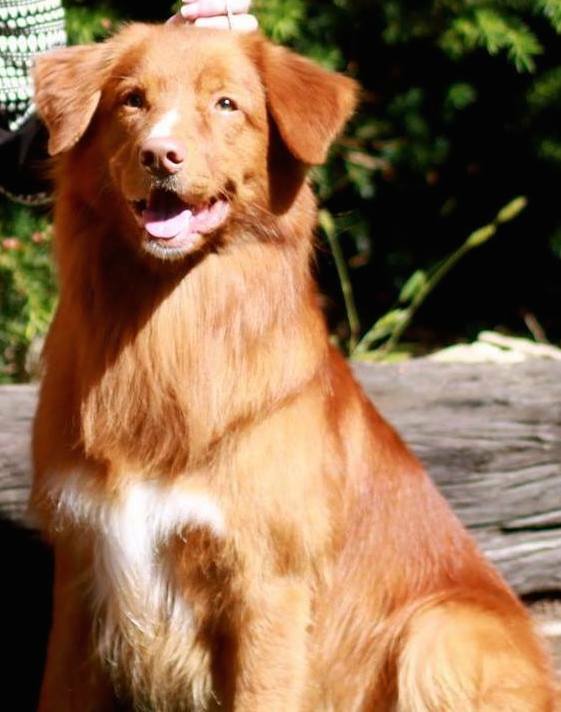 Forbes is a high energy dog. 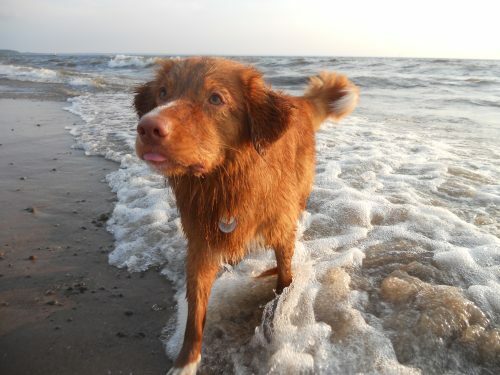 He loves to retrieve and swim, and does anything I ask with enthusiasm. 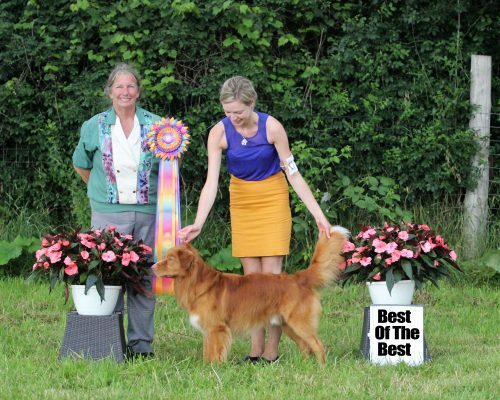 I am confident he would be a fabulous working dog if given the opportunity! 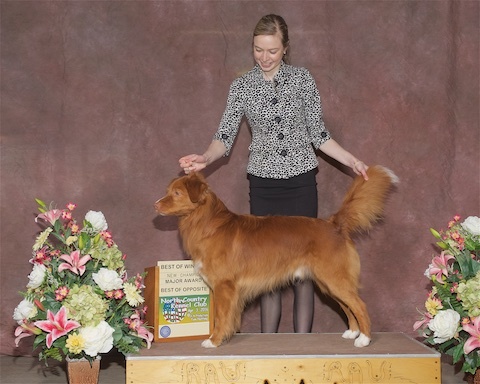 Forbes is a proven stud dog, and has produced some beautiful puppies. 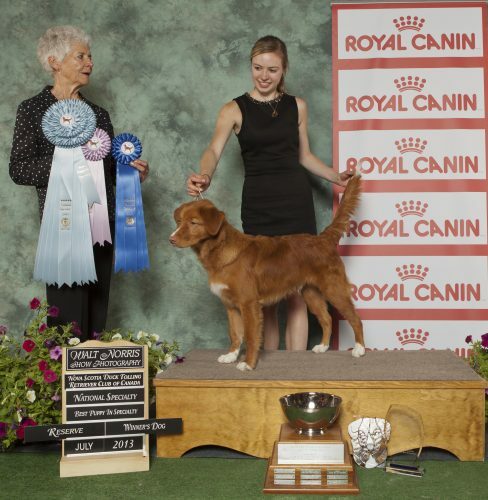 Special “Thank You” to all the judges who have recognized my boy. Forbes LOVES the show ring!